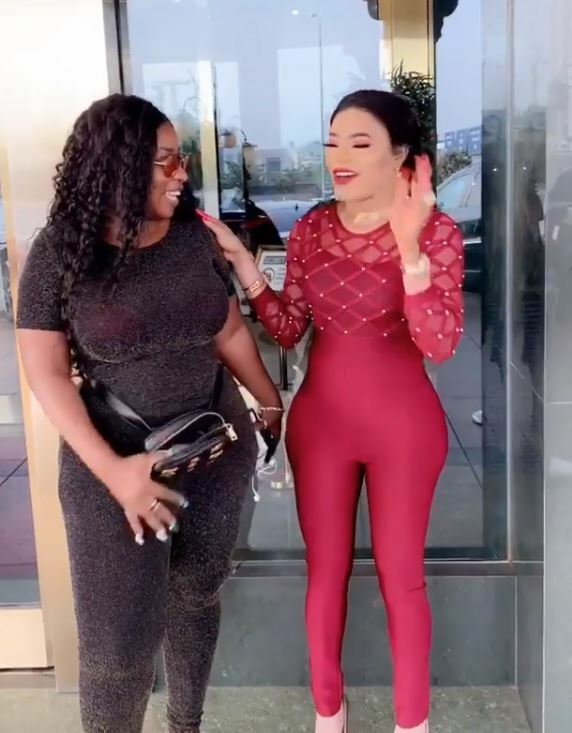 Popular cross-dresser, Bobrisky has shown off his ‘newly constructed hips’.. and it has us all wow’ing in shock. The transvestite, who recently caused a stir after he was spotted sharing ‘Milo’ at someone else’s wedding has again caused an uproar on social media with this new video. Meanwhile, Bobrisky and Tonto Dikeh are inseparable. Today, the socialites took to their social media pages to share their hot new photos taken during a recent outing with friends. 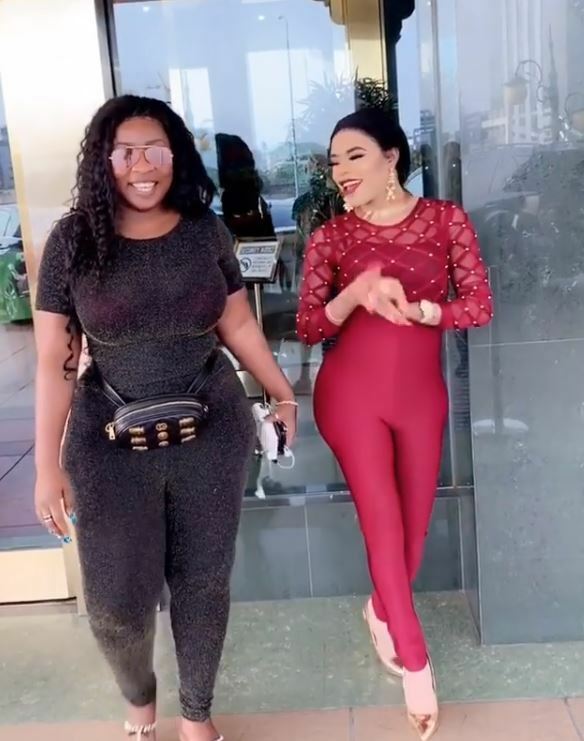 While Bobrisky dressed up in a figure- hugging jumpsuit, the look complete with pink stilettos; Tonto switched things up with a pink bodycon dress. Newly constructed abi padded hips..